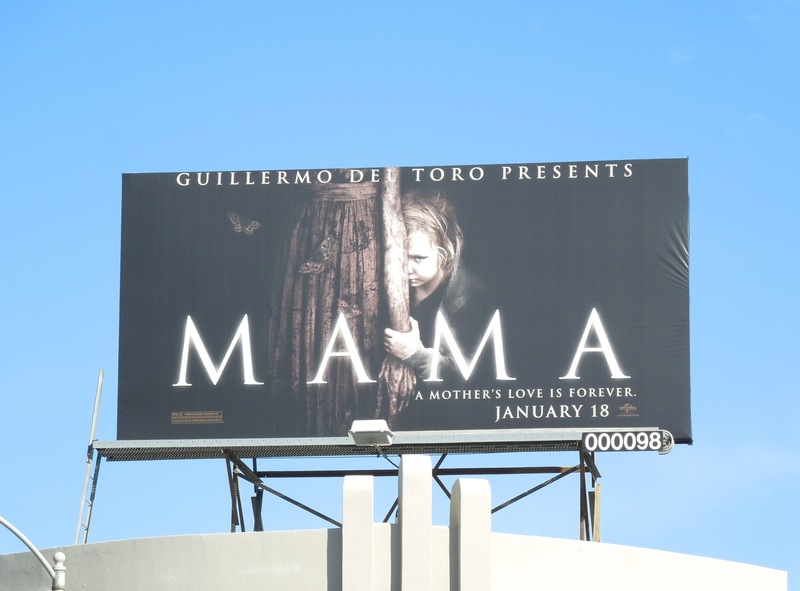 Isn't it amazing how a creepy little kid can strike terror in the hearts of so many, but this haunting billboard for the horror flick Mama certainly does the trick. In the movie an uncle and his girlfriend face the challenge of raising his two nieces who were discovered abandoned and supposedly left alone to fend for themselves in the forest for five years. So who is this 'Mama' the girls refer to? Maybe the real question should be, can this supernatural horror keep the scares coming to rule the box office for a second weekend in a row. 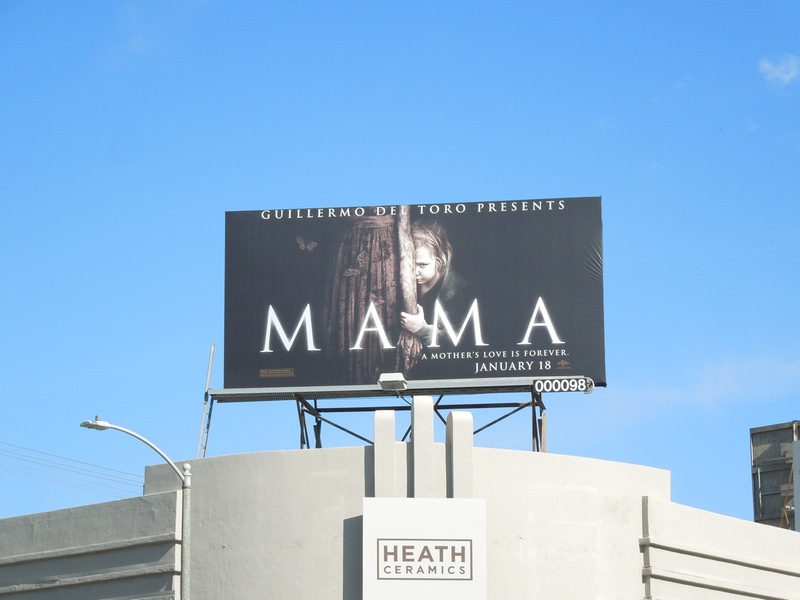 This eerie looking billboard for Mama was spied along L.A.'s Beverly Boulevard on January 7, 2013. 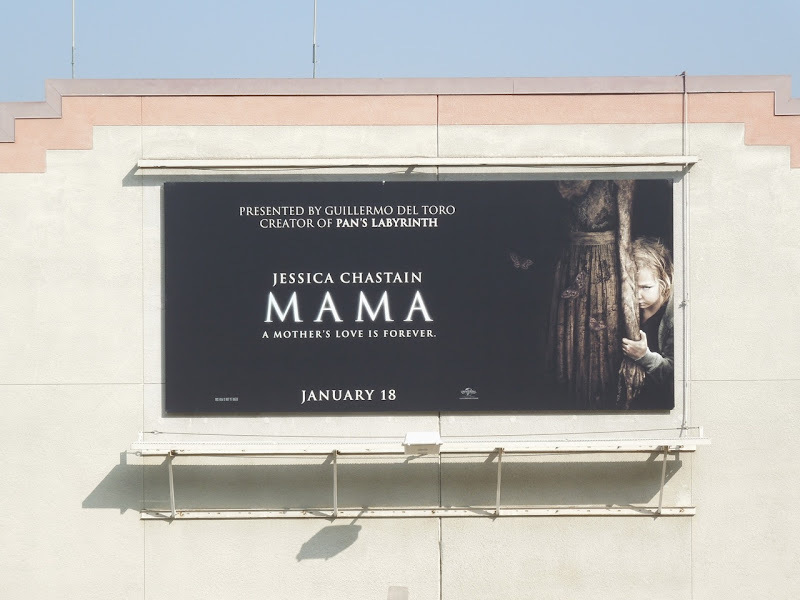 UPDATED: Here's a slightly amended creative for the horror movie snapped at Universal Studios Hollywood on February 7, 2013.